SAN FRANCISCO -- Fiat will not consider selling its Alfa Romeo brand to Volkswagen AG, Fiat CEO Sergio Marchionne said Friday. 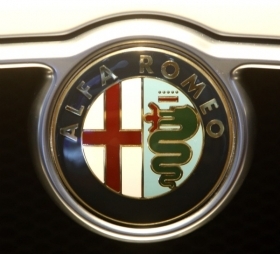 VW Chairman Ferdinand Piech has indicated an interest in buying Alfa from Fiat Group. But Marchionne said: "As long as I am CEO of Chrysler and Fiat, Mr. Piech will never have Alfa Romeo. It's hands-off. I told him. I will call him and I will email him." Marchionne said Piech should concentrate on fixing Seat, VW's struggling Spain-based subsidiary. " I'm not the one who bought Seat. He's the one who bought it. I don't know if he can [fix it], but he needs to try." Marchionne was speaking at a JD Power automotive conference here. At the Detroit auto show last month, Fiat executives said Alfa plans to relaunch the brand in the United States in late 2012. “We would not sell Alfa even if we were offered tons of money,” Fiat Chairman John Elkann told reporters at the show. Piech said last March that VW is interested in Alfa, but is in no hurry to buy it.